Love hurts. There’s no other way to describe it. Love can be the single most transformative emotion of all time. It can inspire ordinary men to do extraordinary things. It can save lives and inspire poetry and end wars. But it still hurts. For centuries, artists have tried to make sense of love by writing about it. Out of that, we have been given incredible pieces of work, from songs to plays to poetry and more. Love has been a prevalent theme in thousands of books, movies, and television shows and it will be present in thousands more. Classic tales like Gone with the Wind, The Great Gatsby, Pride and Prejudice, and more have been adapted from books into movies, simply because those love stories were just too big for one medium. In terms of movies, romantic comedies have become a genre in and of itself. But sometimes, you don’t want to laugh at the absurdity of love. Sometimes, you want to cry and scream and curl up in a little ball and watch movies that reflect your emotions. Honestly, the only reason we’re including this on the list is that we want to talk about the book. We’re breaking our own rule here, but forego watching this movie and go read the book instead. The Time Traveler’s Wife is the greatest love story we have ever seen. The movie was only okay. But the book was perfect. The Fault in Our Stars, both as a book and as a movie, was written for teenagers. But the story told is one that can resonate with people of all ages. 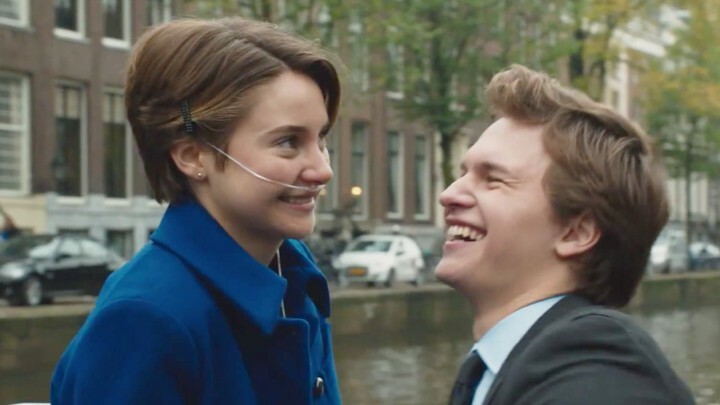 It tells the story of Hazel and Gus, two teens with life-threatening diseases. The two meet and form a connection based on humor, death, and books. When Gus finds out who Hazel’s favorite writer is, he arranges a meeting between the two and both of them go on the adventure of a lifetime. We like this film because it shows that age doesn’t matter when it comes to love. If you had the chance to erase the memory of your ex, would you? 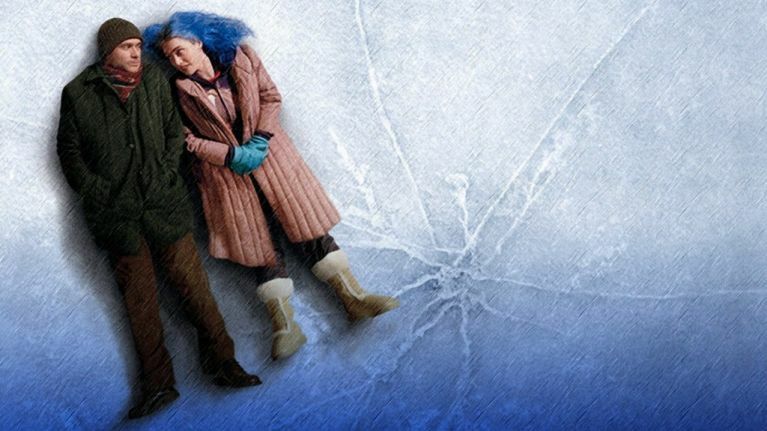 That’s the question posed in the film Eternal Sunshine of the Spotless Mind. After a particularly nasty breakup, Clementine (played by Kate Winslet) undergoes a procedure to rid her mind of the memory of her relationship with Joel (played by Jim Carrey). When Joel finds out about this, he undergoes the same procedure and slowly forgets about the love of his life. Eternal Sunshine poses an incredibly complex question, one we’re not sure we could even answer. Is it better to have loved and lost or to have loved, lost and forgot about both? P.S. I Love You, based on the book of the same name, punches you in the guts about five minutes into the film and it doesn’t stop until the final credits. The film tells the story of Gerry and Holly, two twenty-somethings who are head-over-heels in love with each other. Unfortunately, Gerry dies of a rare disease and Holly is left to face life alone. But Gerry couldn’t bear the thought of that so, before he died, he wrote Holly a series of letters that would lead her on a journey of self-discovery. At the end of each letter, he signed it with “P.S., I Love You.” Cue the waterworks. The Notebook, based on the novel by Nicholas Sparks, featured two young people (in this case, Ryan Gosling and Rachael McAdams) from opposite ends of the socio-economic spectrum. A modern-day Romeo and Juliet, minus the tragically young deaths. The Notebook offered the ultimate star-crossed love story that showed how people can meet, grow apart and not see each other for years, but that there will still always be an unspoken bond between them. It showed that love is stronger than death and time, all while featuring the saddest happy ending ever.